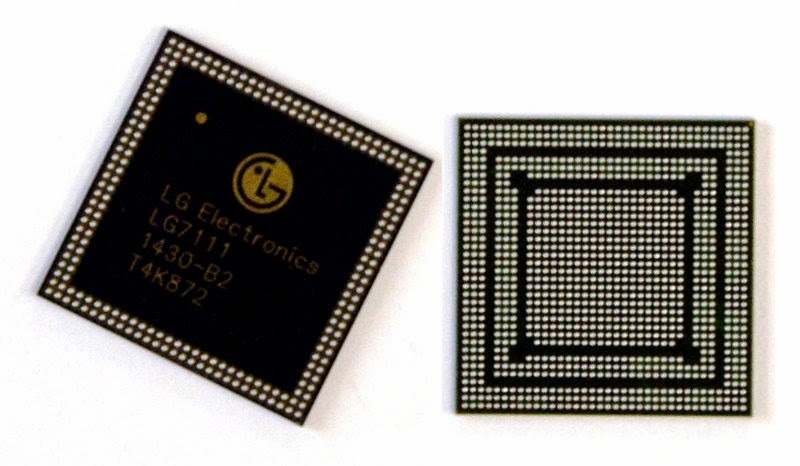 LG manufacturer looks into the world of processors for mobile developers. Its first model, called Nuclun, the latest addition to the team lineup: the phablet G3 Screen. LG introduced its first "home" processor, called "Nuclun" (pronounced Noo-Klun), based on ARM big.LITTLE concept. That is to say, it provides an architecture designed for multitasking with 4 cores on a Cortex-A15 model (1.5 GHz) and 4 other cores on the Cortex-A7 (1.2 GHz). Recall that the principle of this architecture is to make A7 cores, less power, for basic tasks (email, browsing, ..) and A15 cores for applications that require more power to work. The aim is to establish a ratio that allows to save energy. With Nuclun, LG entering the rather limited club with Apple, Huawei and Samsung in particular, to those who design their own processors. Note that if LG has designed the chip, it is made by TSMC; "We have no intention to become a manufacturer" has stressed the CEO of LG. Moreover, this first product quickly between stage team because the latest range of LG: G3 Screen. 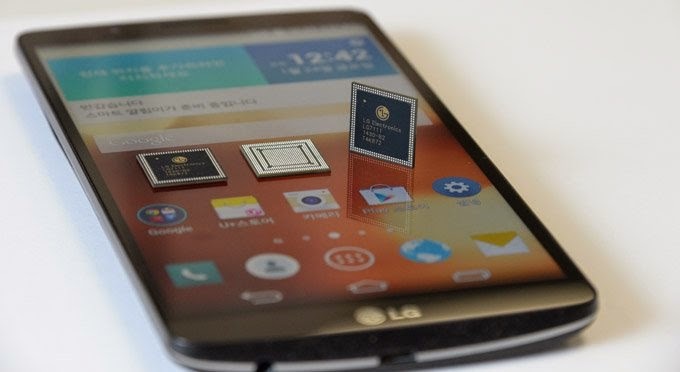 LG G3 Screen offers a wide screen Full HD (1080x1920 pixels) 5.9 inches. It has 32 GB of internal storage expandable via microSD port 2 GB of RAM and a 3000 mAh battery. It also has a compatible modem LTE-A Cat6 (for 4G connection). Also rely on a 13 megapixel rear digital camera, and a second 2.1-megapixel front. Finally, it runs on Android 4.4.